By now, we all know what a danger those old, bulky, ridiculously heavy tube televisions pose to young kids. In recent years, most of us have upgraded to sleeker, lighter flat screen models, which might not seem as lethal were they to topple over on a child. It’s true that today’s TVs are considerably lighter than old-fashioned CRTs, but that doesn’t mean they’re light, especially in the jumbo sizes many consumers prefer. For example, a 65-inch TV we tested, the Sony XBR-65A9F, weighs more than 78 pounds, including the stand. The even larger Hisense 75EU8070, a 75-inch set, weighs slightly more than 82 pounds. 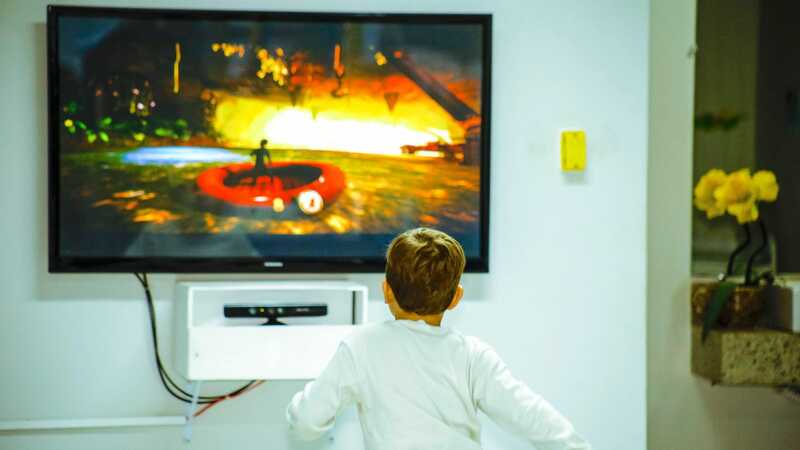 Dozens of kids are injured every day from TVs or furniture tipping over, and 2 or 3 die each month, according to the U.S. Consumer Product Safety Commission (CPSC). Outside of bedrooms, today’s bigger TVs are often placed on cabinets, tables, and media consoles designed for the smaller sets they replaced, which can make them unstable. Whenever possible, a properly secured wall-mount is your best bet to keep a television high off the ground and out of reach for children. If that isn’t possible, Consumer Reports suggests securing the TV with anti-tipping straps to a wall or the back of the stand, if it is substantial enough. Furniture holding the TV can also be anchored to the floor or wall using brackets, screws or braces. If you’re using straps, secure them to a stud in the wall, not into drywall or plaster, which can give way under pressure. Imagine your home the way your young child sees it—as less of a home and more of a playground, where they’ll be running and jumping and climbing and knocking into things. That’s why dressers are particularly tempting for children to climb, especially if they see something shiny and fun on the top of it (like a TV remote, toy or cell phone) that they want to get to, Consumer Reports says. Make sure the stand or furniture is sturdy and appropriate for the size and weight of the TV, and place the set as far back on the stand as you can, especially if anchoring isn’t possible. If you’re putting a new TV on your old TV’s stand, make sure that no portion of the pedestal or feet extends over the edge. If you have an older home with irregular floors, make sure the stand or cabinet isn’t wobbly (insert a shim if necessary). All of this applies to both large and small flatscreen TVs, no matter where in the home they are located. And don’t forget to also make sure cords and cables are out of reach for young kids.